The Versa-Pak Dry Valve System incorporates an air operated dry valve which permits hydraulic operation while the vehicle is in motion. It reduces fuel consumption during the off mode and eliminates heat build-up associated with “live” systems in the on mode. 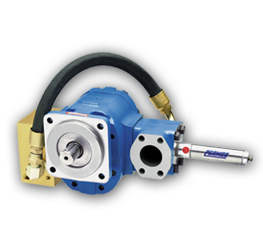 Available with optional speed sensor and digital speed controller to further protect the hydraulic system.